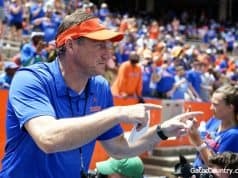 The Florida Gators signed 21 prospects during the early signing period in December for the 2019 class. Dan Mullen and the coaching staff are hoping to add to those 21 prospects on Wednesday during National Signing Day. 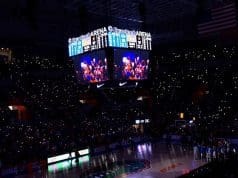 The Gators currently have two prospects committed to them that haven’t signed and they’re waiting on an announcement from several other players on Wednesday. GatorCountry breaks down the schedule for Wednesday as several prospects are set to make announce their decisions. 8:15 A.M.- Defensive end Khris Bogle- Bogle is currently committed to Alabama but Florida and Miami are still in the mix for the defensive end. Bogle visited Miami this past weekend after visiting Florida the weekend before. 11:00 A.M.- Athlete Mark-Antony Richards-Richards has been one of the Florida Gators top targets on offense since Dan Mullen arrived in Gainesville. 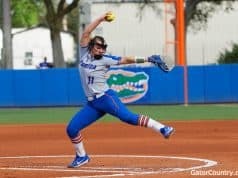 Auburn and Florida have been the teams ahead for Richards as of late but the athlete has the longest relationship with the Auburn coaching staff. 1:30 P.M. on ESPN2- Defensive back Kaiir Elam- Elam will announce his decision on national TV on Wednesday and he will choose between Colorado, Florida and Georgia. Florida and Georgia are the favorites here as defensive backs coach Torrian Gray has really impressed the defensive back. 8:00 A.M.- Receiver Arjei Henderson- Henderson committed to Florida at the Under Armour game and then visited Gainesville the weekend after returning home from Orlando. Ever since that visit, Henderson has been solid to the Gators and cancelled all other visits including one to Florida State. 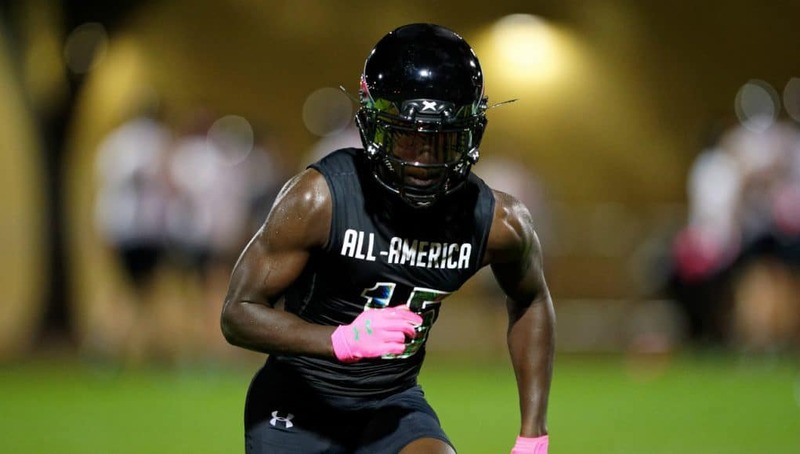 9:00 A.M.-Linebacker Diwun Black-Black has been a solid commit to the Florida Gators since he committed over the summer after visiting Gainesville for Friday Night Lights. Black has some work to do in the classroom but is making strides in the right direction and will sign with the Gators on Wednesday.